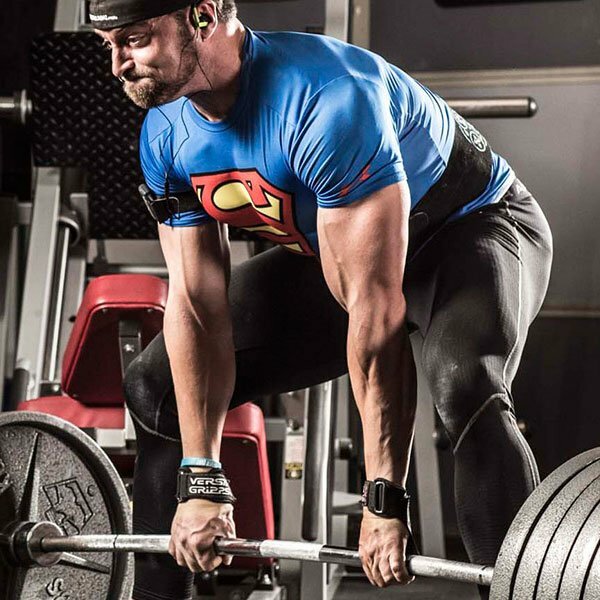 Layne Norton's Peak Week - Everything You Need To Dominate The Competition On Stage! This 5 video series will tell you all you need to know about dialing it in during the last week pre-contest. When it comes to competing, you're only as strong as your weakest link. How many times have you heard a competitor say that? If you've said it yourself, or are contemplating your next show and need help, this series of video articles is for you. There's a reason why disappointment is the norm and success is the exception. Practically every gym in America has a "guru" with a secret plan guaranteed to make you super-dry, full, and shredded onstage. Unfortunately, most of these plans are complete BS. They'll leave you dry, all right-high and dry, and nowhere near the winner's circle. I've compiled the following free peak week series for Bodybuilding.com so that you're the one who pulls it all together before a show; you're the one who stands onstage looking better than you ever thought possible; you're the one who brings home the trophy. The purpose of this video series and the accompanying article is to simplify peak week so that you can hit the stage at your very best-and win! So join me as take you step-by-step through five videos telling you everything you need to know about nutrition, water and sodium, weight training and cardio, posing, and stage presence-the five pillars of competition success. The accompanying video lays it all out in precisely the sort of systematic detail you'll need to be at your best come show day. Did I mention that all this information-based on my years of experience, study, and competing-is completely free? All I need is your time and attention. If you have the drive and desire, Bodybuilding.com and I are happy to give you your roadmap to success. Sign up for Layne Norton's Peak Week Program. This 5 video series will tell you all you need to know about dialing it in during the last week pre-contest. When it comes to competing, you're only as strong as your weakest link. Get Your Posing Guide Now! We're bringing all of this information to you for free. However, if you sign up for our peak week newsletter, we'll also send you Layne Norton's complete posing guide in PDF form. Print it out, and you'll never again have to wonder about how to hit a certain pose. By the time the judges ask you to hit it onstage, you need to have mastered it during hours of practice in the weeks approaching the show. Peak Week Emails and FREE CONTENT! Email contains exclusive video with posing, training, nutrition tips and more. EMAILS BUILT TO KEEP YOU ON TRACK! The 5 videos below will tell you all you need to know about dialing it in during the last week pre-contest. The videos are divided by subject: nutrition, water and sodium, training and cardio, posing, and stage presence. Each of these disciplines is critical to master; don't skip any! When it comes to competing, you're only as strong as your weakest link. Completing this video series will ensure that you have none. Learn what to eat and what not to eat-especially where carbohydrates are concerned-during this critical week. Of course, protein and fat are covered too. Water and sodium may the trickiest elements of all to manage pre-contest. Learn how to manage their delicate balancing act with my series of dos and don'ts. Posing is an art form and a science rolled into one. I provide details on how to hit every pose to full effect, showcasing your physique in the best possible way. Stage presence is hard-to-define quality that separates the winners from the losers. You might think you naturally either have stage presence or don't, but you can actually learn it. Follow Layne Norton's personal strength program, along with over 40 other full fitness plans, for only $8.99/month! My peak week program is designed to dispel the myths about contest prep and, in the process, place your physique on the fast track to success. I'm devoting an entire video series to contest preparation because no topic in all of bodybuilding is surrounded by as many myths and as much "Bro"-science as the seven days preceding a physique contest. My peak week program is designed to despel the myths about contest prep and, in the process, place your physique on the fast track to success. Sunday through Tuesday: Low or no carbs. Super high water consumption, high sodium intake, and high-rep "depletion" workouts. Wednesday and Thursday: Begin super-aggressive carb load. Beginning Thursday, reduce sodium and water. No more workouts or cardio beginning Wednesday. Friday: Continue carb load and water and sodium reduction. By this point, most of these plans will have you consuming less than half your normal water intake; some may draw you down to zero. Sodium is usually zero by this point, at which point potassium loading typically begins. Begin taking a diuretic. Saturday: Continue carb load. Consume almost no water and no sodium while continuing to load potassium and take a diuretic. If you followed this protocol, you probably looked flat and soft onstage, which you left shaking your head in disgust. You probably shook you head even harder when you woke up the day after the show looking great! What the heck just happened, you probably thought. Well, What happened is that you sabotaged yourself. The good news is that it doesn't have to be that way. I'm here to explain what happened, and how you can avoid this fate in the future. Learn all about the required poses before you take the stage! Go Now!